After the officially released of Android Lollipop v5.0.1 for Asus Nexus 7, HTC Nexus 9 and Samsung Nexus 10 tablet devices, now Google has released the latest Android 5.0.1 Lollipop (Build: LRX22C) for Nexus 5 Smartphone as well, a LG made Google Nexus phone. If you own Nexus 5 Smartphone running an old Android Lollipop v5.0 mobile operating system, then you can update / upgrade / install the newest Android 5.0.1 Lollipop via OTA (Over-the-Air) instantly or you can also Manually Download Android 5.0.1 Lollipop (LRX22C) Update .TGZ File for Nexus 5 via Direct Links available below. 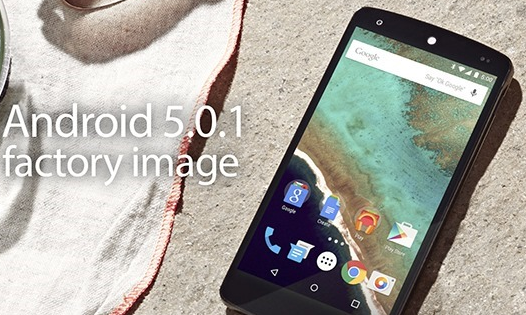 How to Download & Install Android 5.0.1 Lollipop for Nexus 5? If you're an Android Nexus 5 general user or developer, then you can download Android v5.0.1 Lollipop factory image file via Android Developers Portal website officially for Free. We are also sharing the official Direct Download Links of Android 5.0.1 Lollipop Update Installer .TGZ File for LG Google Nexus 5. How to Manually Install Android 5.0.1 Lollipop on Nexus 5?